Armistice Day, November 11, 1918, the end of World War I was first proclaimed a holiday by President Woodrow Wilson for November 11, 1919. In the 1950s the holiday was expanded to include all veterans. 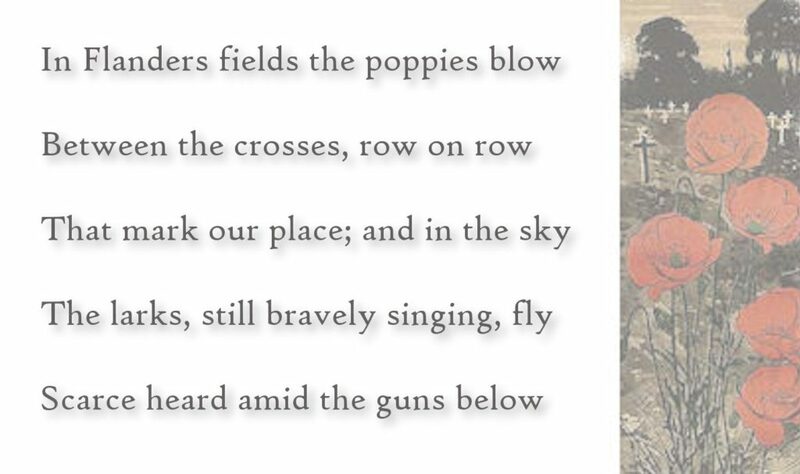 “In Flanders Fields” was written by Lt. Col. John McCrae, Canada, a physician who himself died before the war’s end. Civil War St. Louis is undergoing a website upgrade and revision. Online since January 25, 2001, and with hundreds of complex pages, this is no small task. Please bear with us and use the search function to find what you’re looking for. Or just browse and explore. Not all images are in place, but most of the text content is here. From the groundbreaking North & South magazine article, featured on The History Channel in Civil War Terror, and in PBS History Detectives. Among the steamboats destroyed on the Mississippi River, the one with the largest single loss of life was the steamer Sultana. The boat had been loaded with over 2000 people, most of them Union POWs returning from Southern prison camps. When the Sultana exploded and burned, as many as 1800 people were killed as many Union soldiers died on the river that night as died on the battlefield of Shiloh. With them died a number of women, children, and civilian men. Was it an accident? Or sabotage? Seven miles out of Memphis, at 2:00 a.m. on April 27, 1865, the steamer Sultana chugged northward loaded with over twenty-three hundred people, most of them Union soldiers returning home from southern prison camps. Without warning, an explosion ripped through the boilers, scalding steam burst out, and a shower of flaming coal shot upward into the night, raining down on the crowded boat, which in moments was engulfed in flames. 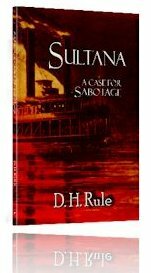 Over seventeen hundred people died, making the destruction of Sultana a maritime disaster worse than the sinking of the Titanic. This publication also includes the full-length version of the originally published North & South article, with all footnotes and sources.